This was the advice a friend gave as I was planning my trip to China. I wanted tourist sights, and arts and culture, and thankfully for this trip I would be able to do both. 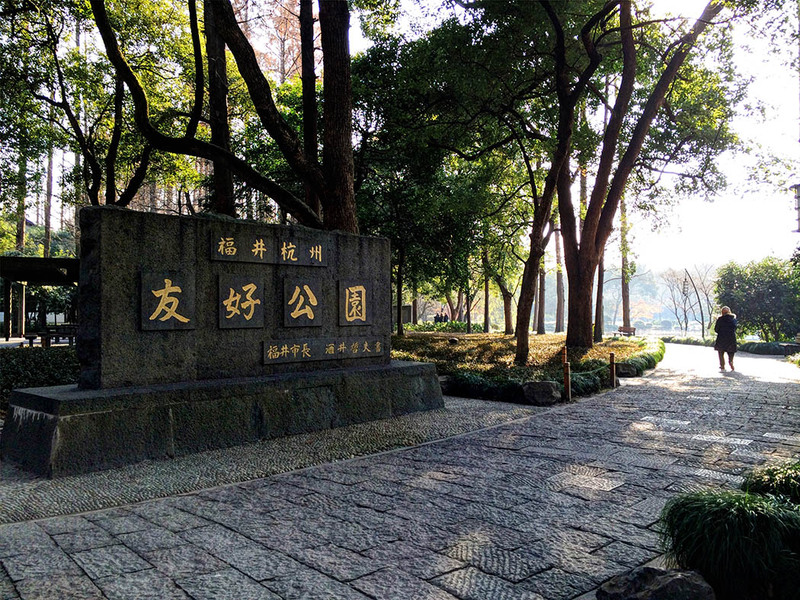 Today, I’ll share a little about my experience in Hangzhou. 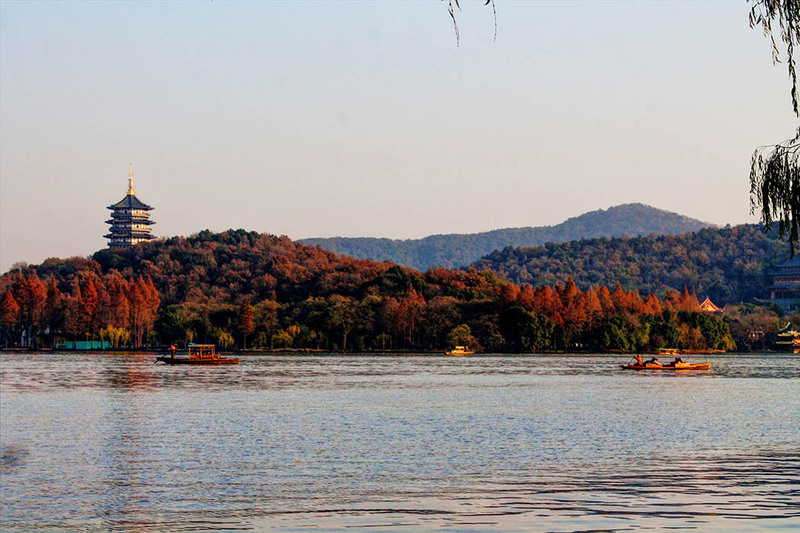 Population density-wise Hangzhou is a fairly small city; it has population of about 8 million in over 16,000 sq. km. 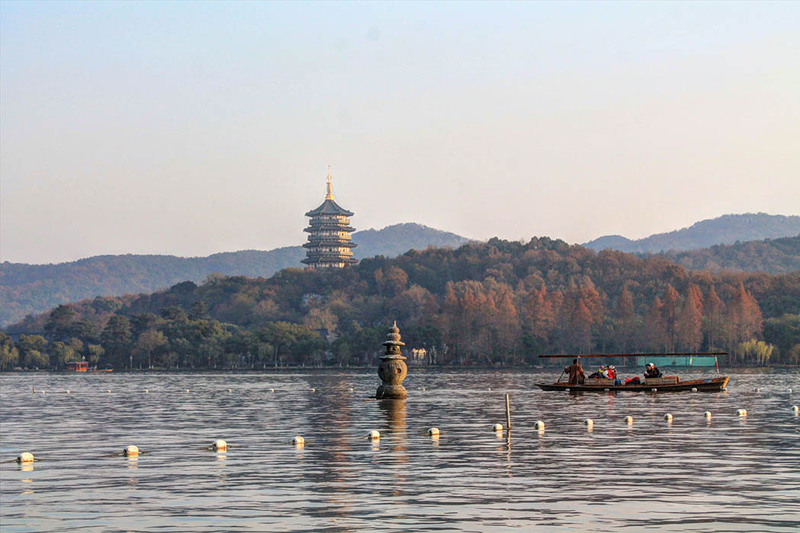 Compared to Shanghai’s 24 million in less than half of Hangzhou’s area, it made sense for me as a China newbie to start small and manageable my forays into China somewhere manageable. 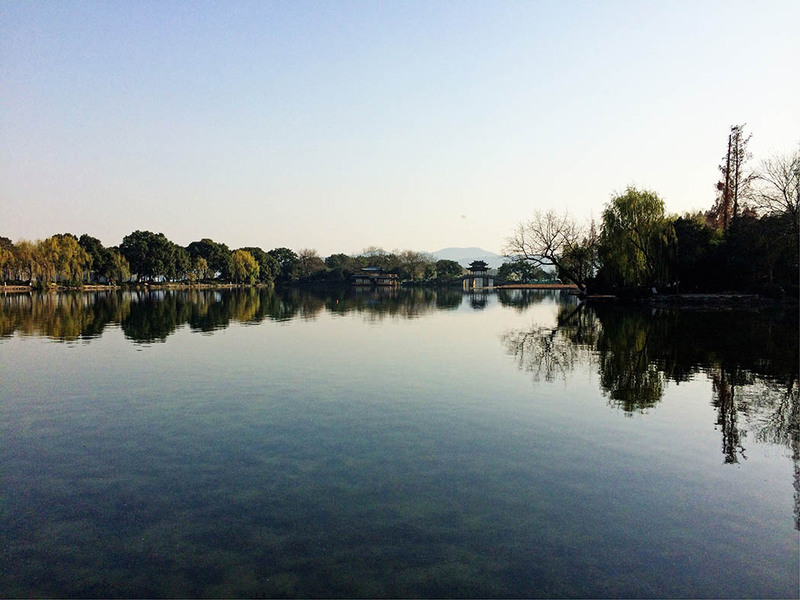 I knew close to nothing about Hangzhou, but I’d repeatedly heard that I needed to see West Lake. 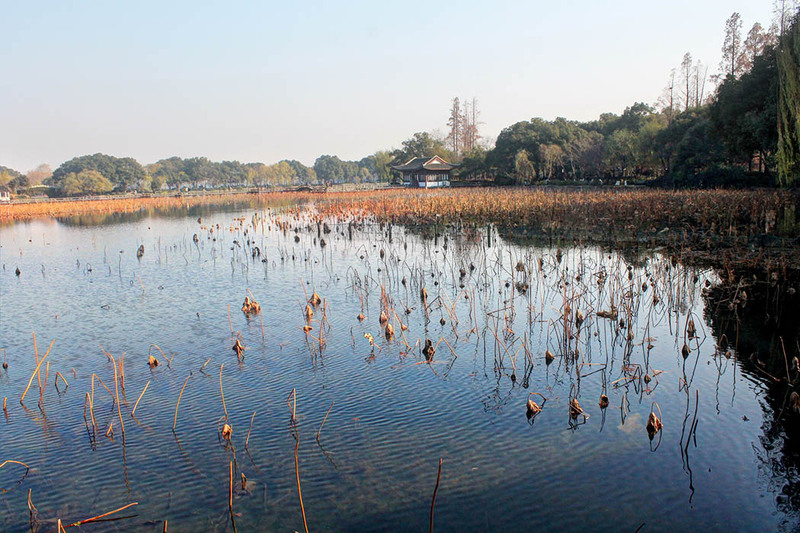 West Lake (西湖, Xī Hú) seems to be at the center of life in Hangzhou. 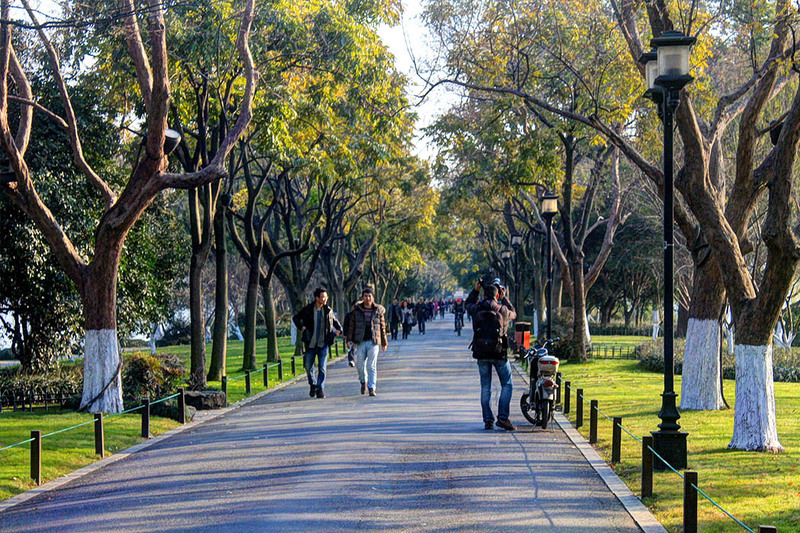 Tourists and locals alike, who’d had braved the single-digit Celsius winter temperatures to enjoy the beauty, filled the park around the lake. Somehow, perhaps because of the number of people out, it didn’t feel cold. 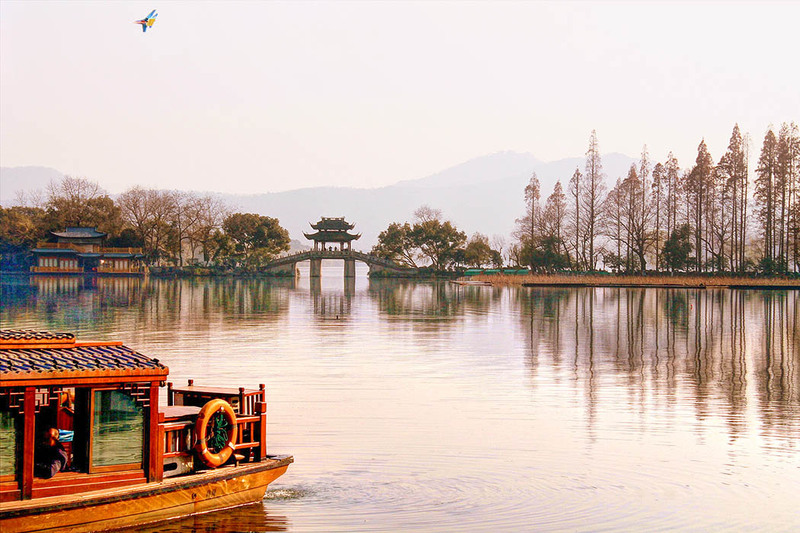 West Lake is a UNESCO World Heritage site and according to Wiki, “has influenced poets and painters throughout China’s history for its natural beauty and historic relics.” The entry lists its significance through China’s long history, including modern day. When you are in the park, it’s hard not to see this significance. 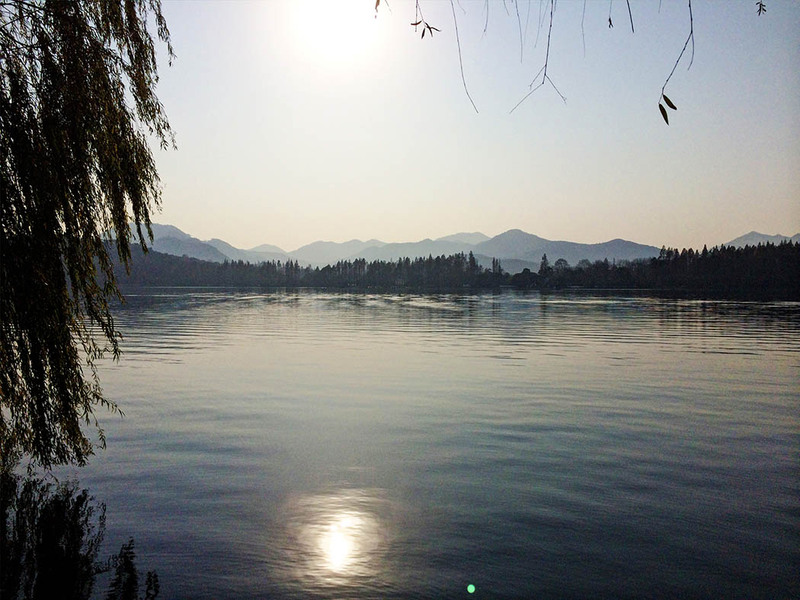 Describing West Lake as beautiful is an understatement. Lotus garden. This looks beautiful in warmer months. While in the park I made a friend – a university student who’d come to Hangzhou for a job-interview. Together we explored different parts of the park. You can rent bikes to go around but most people seemed to be walking, and that’s what we chose to do. For about US$4, you can take a boat ride to the center of the lake and back. My new friend and I joined a group of four as they were about to get into a boat. It was really beautiful and serene and coincidentally just the perfect time to capture the sunset. A site within the lake is the Three Pools Mirroring the Moon. 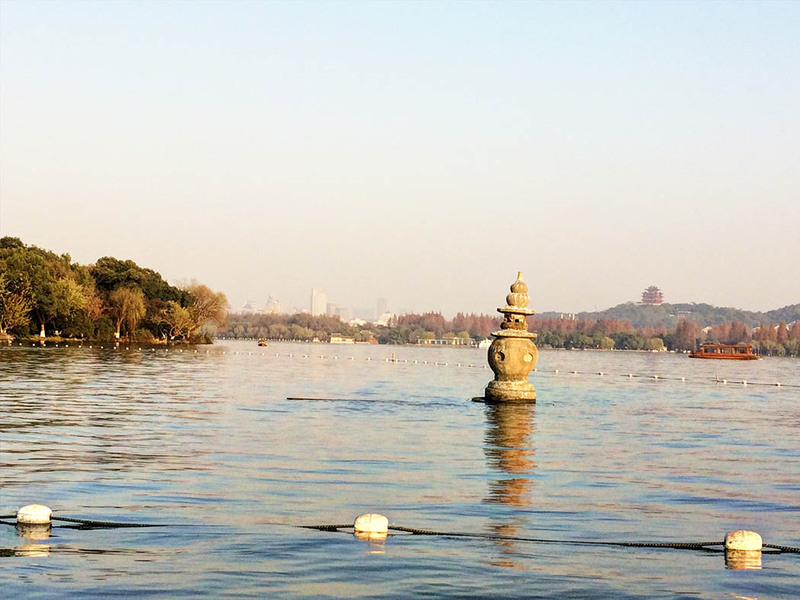 These are not actual pools of water but, three guard-shaped stupas about two meters high that are at the center of the lake. The best time to see this is after dusk when candles are lit in the stupas and seemingly reflecting the moon as little lights, hence the name. This site is featured on the back of the one yuan bank note. 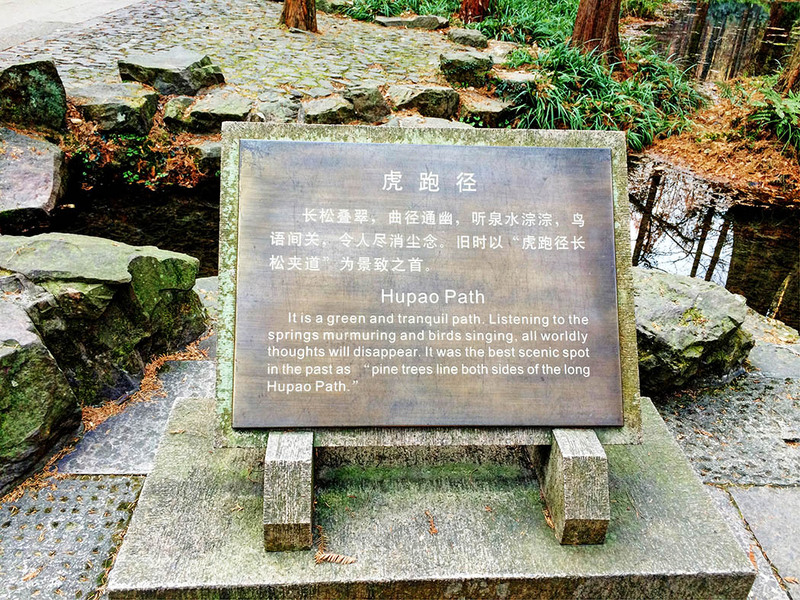 Chinese poets and painters aside, put me anywhere with open spaces, lots of greenery, water, fresh air, and also still see city sky lines including a convenient 20 minute bus ride to and from town and I’m in heaven. The next day, my hostess and I went up to Hupao spring, famed as having the third best water in China. 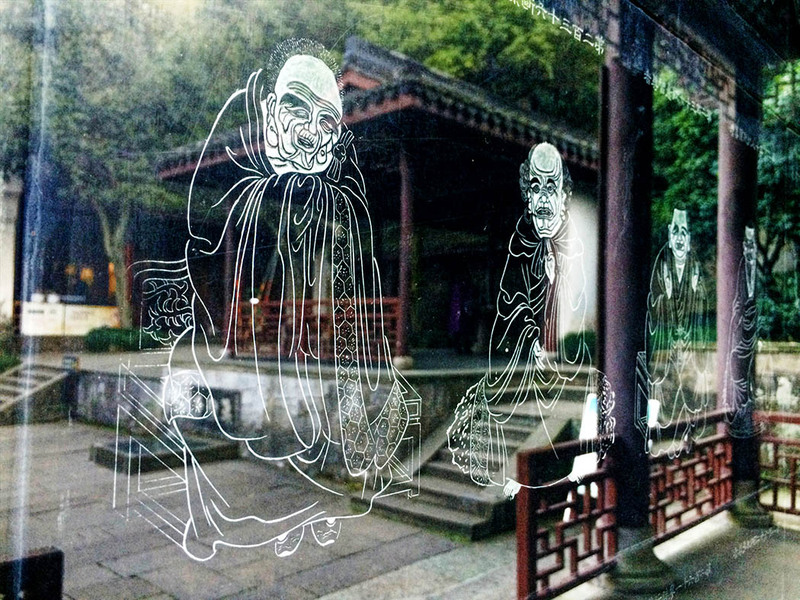 Legend has it that a monk, Xingkong, lived in a monastery on Daci hill. He was planning to leave his monastery for good because of lack of water. 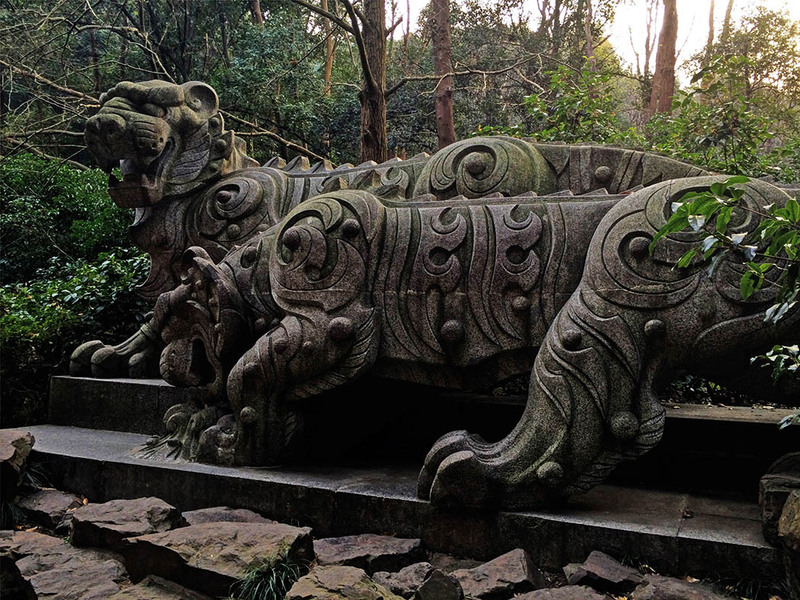 Before his intended departure, Xingkong had a dream in which he was told that two tigers would bring him a fountain at the mountain. And the very next day, two tigers dug a hole from which the spring sprung. And this is the site of present day Dreaming of the Tiger Spring. The spring water is potable and there were many people who’d queued near the entrance to fill their bottles and jugs. 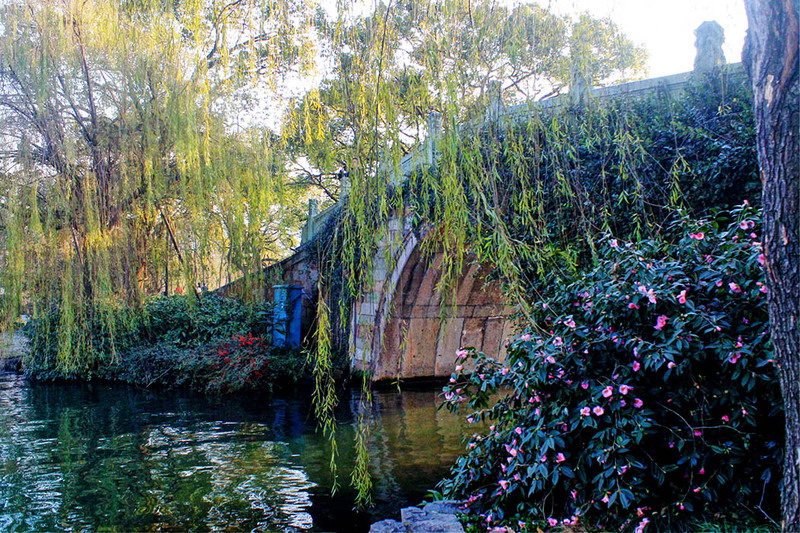 Hangzhou’s tea industry has flourished around tea that is made using the spring water. 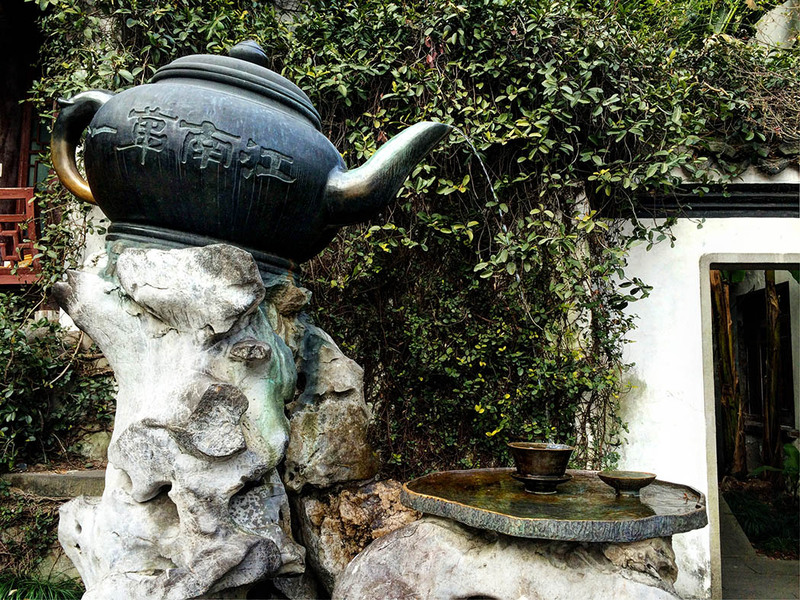 A sculpture at the adjacent museum that is a tribute to Hangzhou Longing tea. 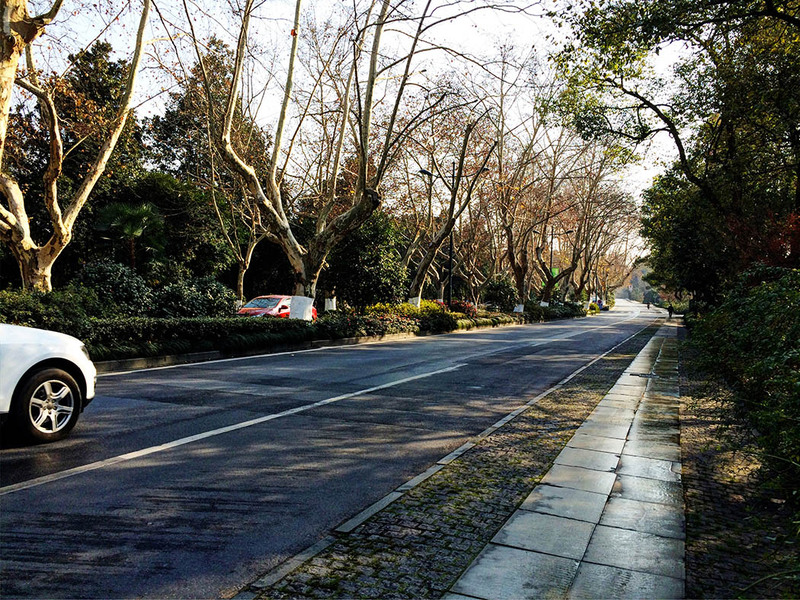 My impression of Hangzhou can be summed in one word is “beautiful.” From West Lake to Hupao and even just the city streets, I was struck by how beautiful and green the city managed to be. I’d definitely recommend a trip to Hangzhou in the spring or summer when everything is in bloom especially around West Lake. Helpful info: It’s easier and cheaper to book places to stay via local Chinese websites although Agoda and booking.com can also be useful. 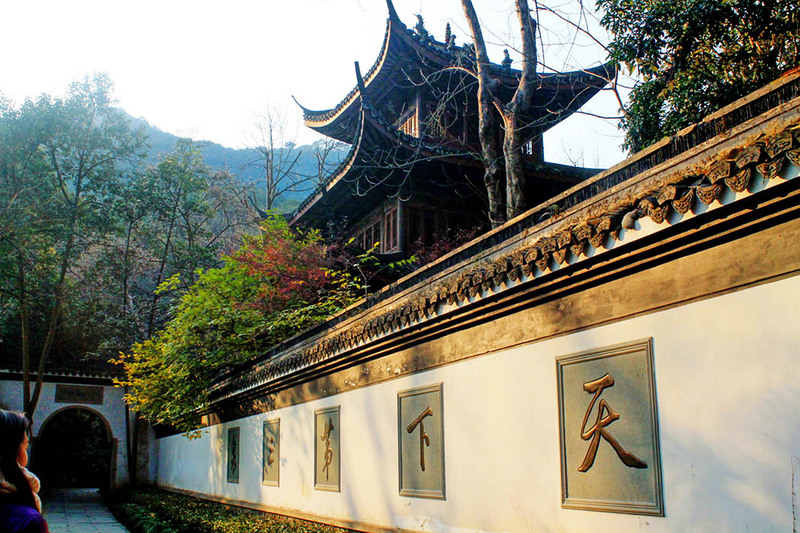 China has a hostel network geared toward domestic tourism targeting especially the youth so you will get far better deals than international websites. I stayed at the Lotus Hostel () which has private and dorm style (female-only and mixed) rooms. It was quite the cute and hipster-y set up and really clean and well organized. 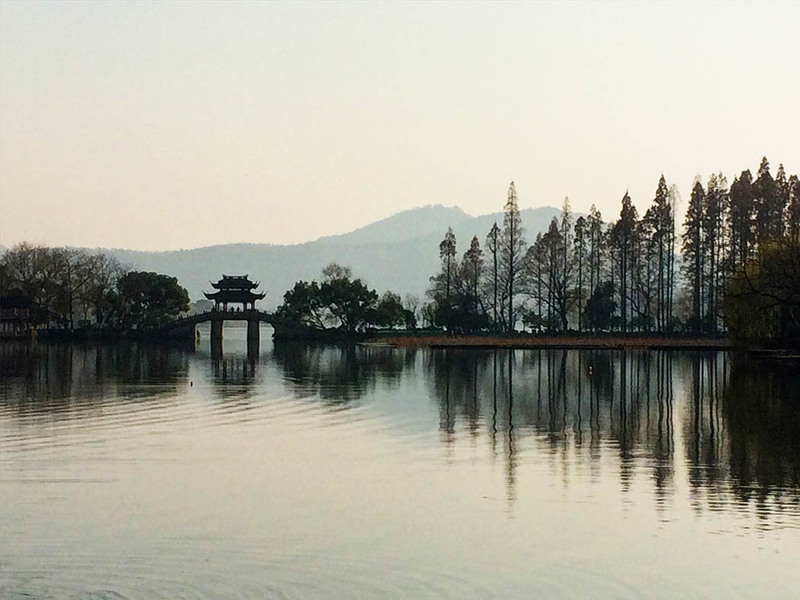 Getting there: Hangzhou is a 45-minute, 12-dollar train ride from Shanghai Hongqiao Station. There are two stations, Hangzhou and Hangzhou East, and it costs about $1 more to go into Hangzhou East. I’d recommend taking metered taxis, and at the Hangzhou East station, there’s a taxi station where you wait in line. Steer clear of any taxi drivers approaching you with deals (spoiler alert, it’s not). Avoid them if they refuse to use their meter. You can travel by air too the airport is about 30 km from the downtown area. Getting around the city is easy you have the option of buses (<$1 per ride), taxis, biking and walking. An important thing to note is that a lot of websites don’t work well or at all in China, that includes cellphone apps as well, so my Google and Apple maps were absolutely useless. Baidu, China’s Google equivalent is readily available but only useful if you can read Chinese. Bring a paper map, especially for taxis and asking for directions. 4. Tweet it and include this hashtag. #wkendtravelinspiration . Corinne and Jim of Reflections Enroute, Margherita and Nick of TheCrowdedPlanet, Paula and Gordy ofContentedTraveller, Crystal and Francisco of BayEssence, Rhonda Albom of AlbomAdventures and Eileen from FamiliesGo. Beautiful. I haven’t been East Asia yet, but this looks like a charming place to visit. Looks so beautiful and peaceful . I love the temple! Rachel, I love traveling China, but have not been to Hangzhou yet. I would certainly love photographing the lake and sculptures. Wow, these photos are really magical. I have visited China and went to different city about 40 minutes from Shanghai for the same reasons. It amazed me how peaceful certain places are in a country so densely populated. 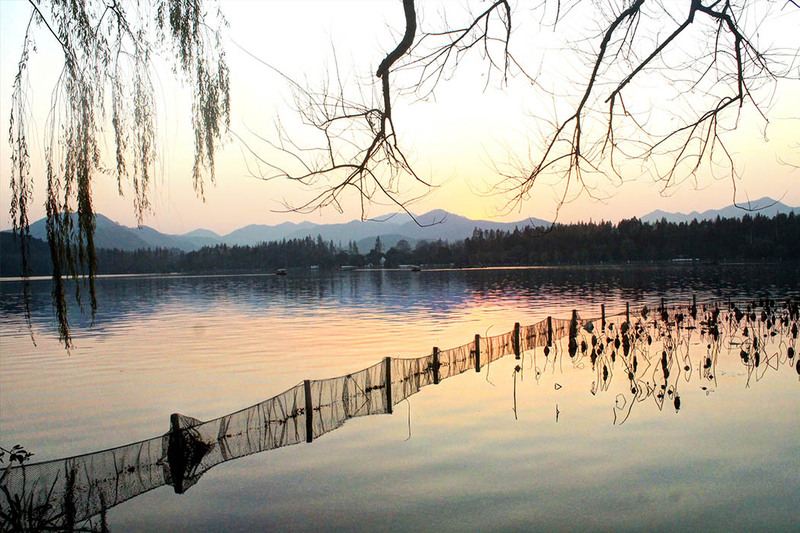 Although China isn’t at the top of my travel wishlist, I must admit that Hangzhou is beautiful. Wow, this place looks absolutely amazing – I love all of the photos of the lakes! neat photos. Some look so traditionally Chinese, Some could be any modern city. I am so glad you finally made it to China! Amazing views! 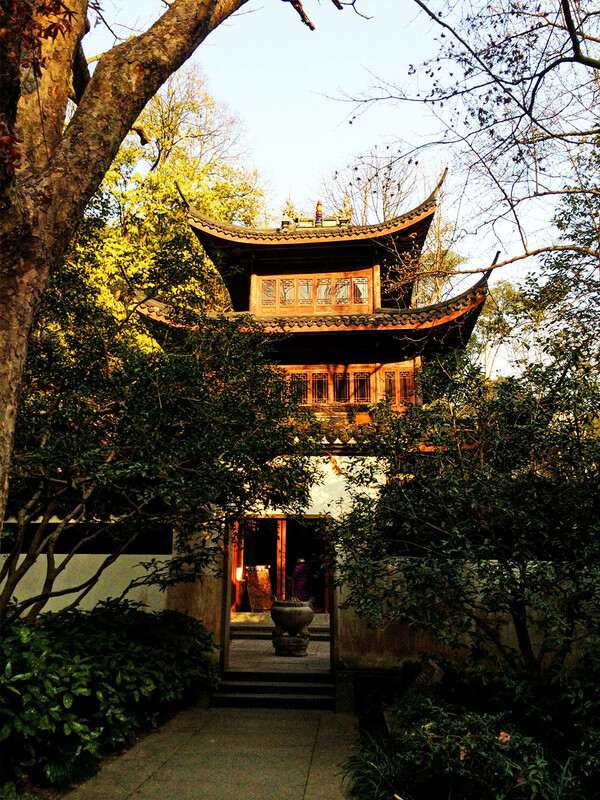 I have been to 12 out of 22 provinces, but missed Hangzhou. The scenery is simple breath-taking! That’s definitely a place where I would spend a day or two to relax. Oh WOW! 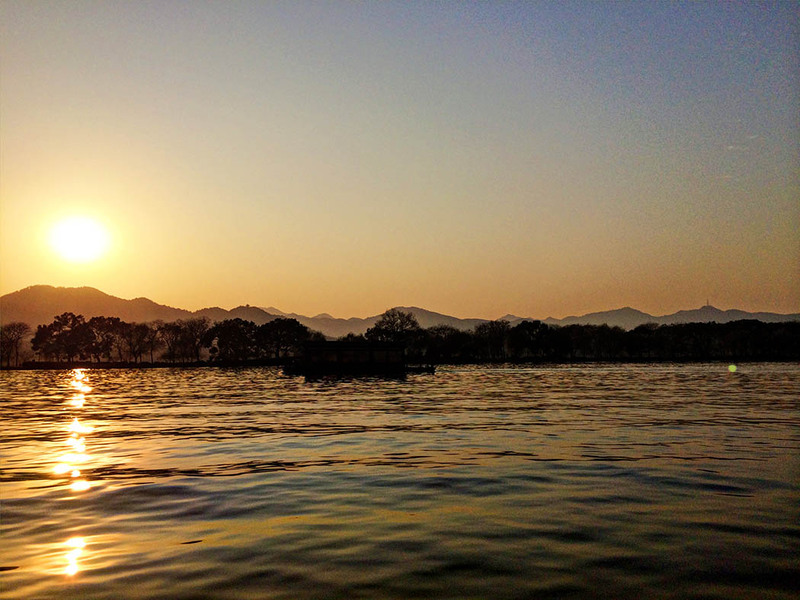 I’ve never been to China and truth be told, I’d never heard of Hangzhou till reading this post but West Lake looks absolutely breathtakingly picture perfect :)And that stunning photo at dusk – I’m so glad to have learned of this area of China from reading this post! 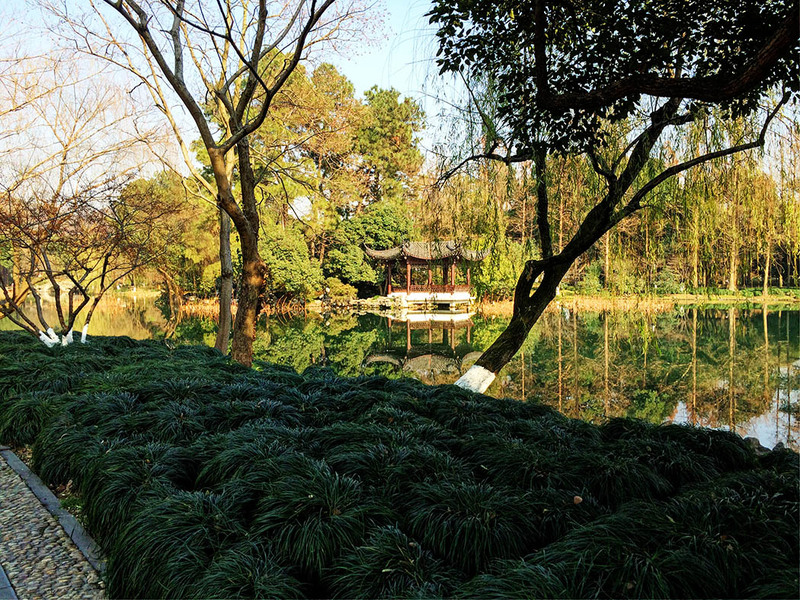 Gorgeous shots of Hangzhou – it’s a beautiful place. What a gorgeously scenic place. I like how you showed us the lake with just nature’s beauty first, and then changed the angle to show us all the Chinese architecture. I can see why it’s famous. We didn’t make it to Hangzhou when we visited China. It’s such a big country, and there’s so much to see. Lovely post, good that you are now going beyond Kenya’s borders. 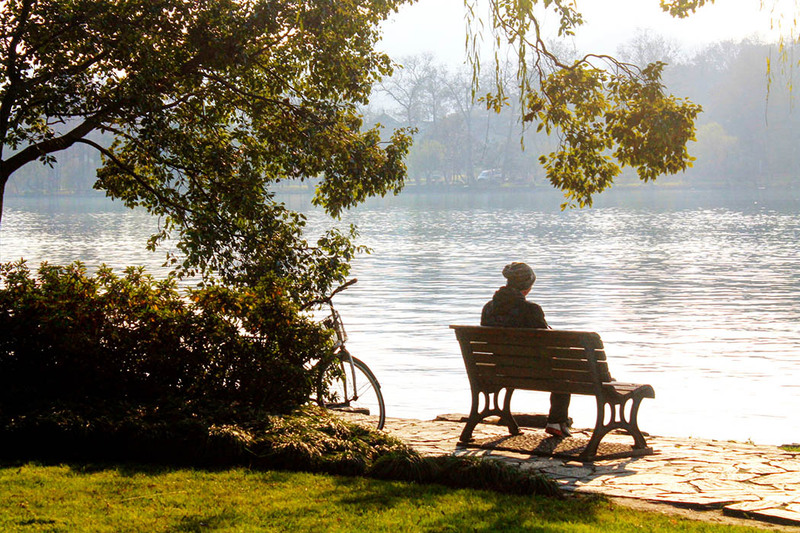 One of China’s most illustrious tourist drawcards, Hángzhōu’s dreamy West Lake panoramas and fabulously green and hilly environs can easily lull you into long sojourns. 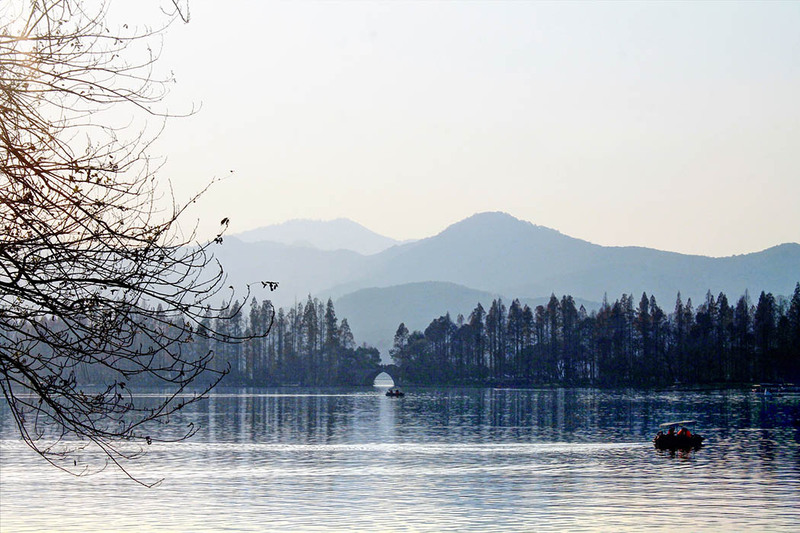 Eulogised by poets and applauded by emperors, the lake has intoxicated the Chinese imagination for aeons. 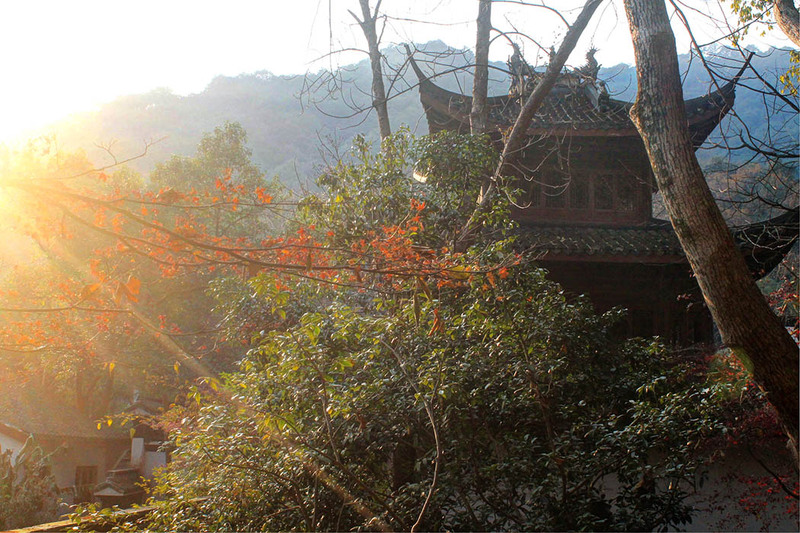 Religiously cleaned by armies of street sweepers and litter collectors, its scenic vistas draw you into a classical Chinese watercolour of willow-lined banks, ancient pagodas, mist-covered hills and the occasional shíkùmén (stone gate house) and old lǐlòng (residential lane). 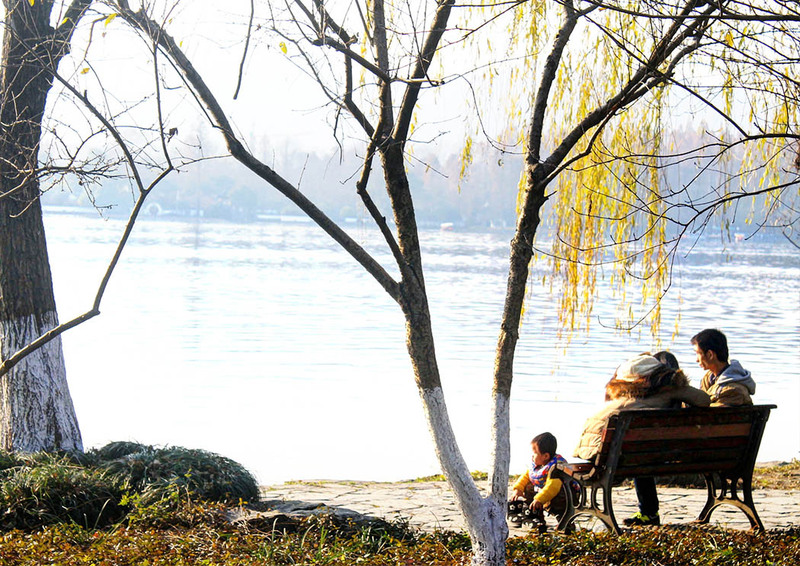 Despite vast tourist cohorts, West Lake is a delight to explore, either on foot or by bike. I got to add …. love the new look! Wow! What a great collection of photos! I can certainly understand the appeal to many. It is absolutely beautiful. It looks so tranquil that I can picture myself for a nice stroll or spending the day here. The architecture is just stunning! Stunning. I missed Hangzhou and went to Suzhou instead. 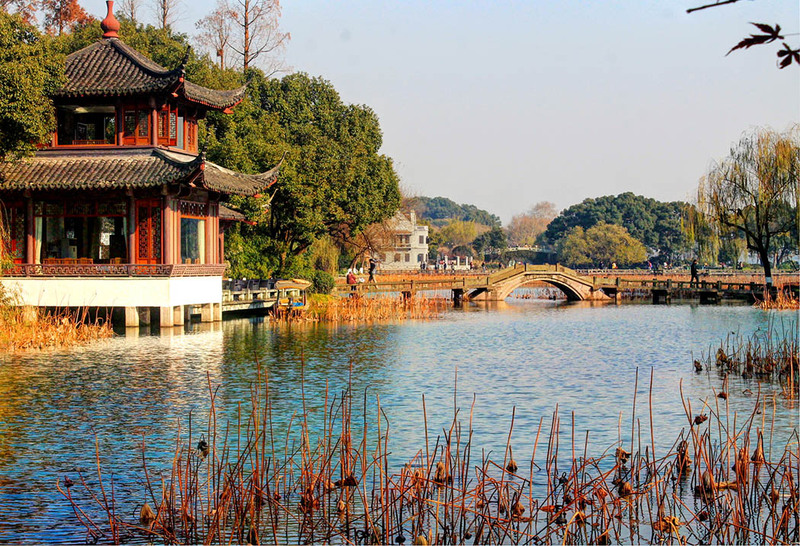 I think I missed out – Suzhou was lovely but Hangzhou looks amazing! You have very lovely photos! Remind me of my own Hangzhou trip. We enjoyed strolling around the lake at our own pace, esp. the far Western portion of the lake where we discovered little-known gems like Guo’s Villa and Maojiabu far from the overly-touristy places. My wife is from Beijing, and I’ve been there three times, with once staying for two months. I have to say, I am bored of Beijing, and there are way too many people and pollution. There is a constant dusty fog there. 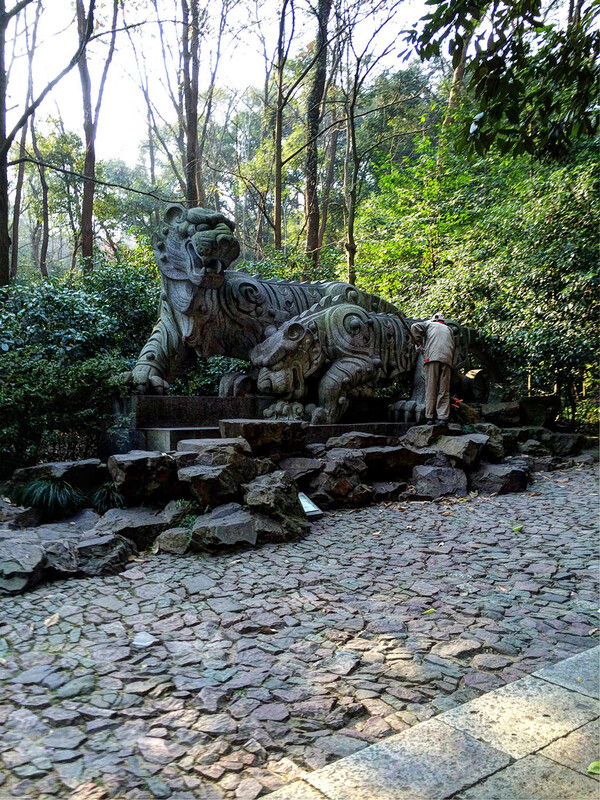 We have been talking about visiting China again, and my wife mentioned Hangzhou a few times, and this is how I found your blog post. Such lovely photos you have taken. Seems a lot more peaceful, scenic and cleaner than Beijing. 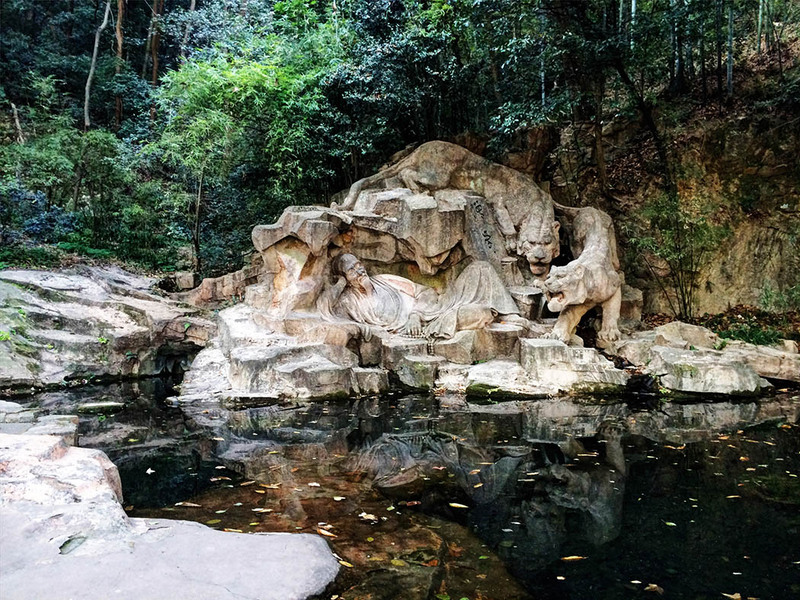 I particularly like the statues by Hupao Spring. I want to travel and see them for myself.